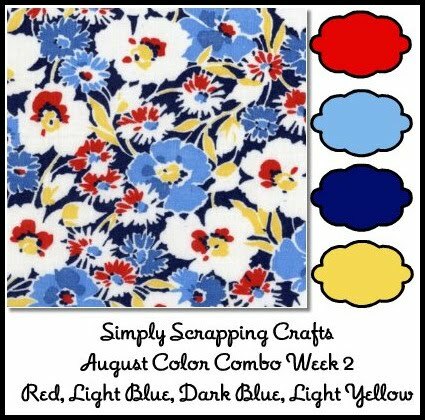 Have you stopped by Simply Scrapping Crafts this week? You haven't? Well, what are you waiting for? Lots of new challenges have posted over the last few days. I'm sure one of them (probably more) will have you running to your stamp supplies!! Paper Scraps: Use your scraps to make rolled flowers. I love the softness of this card. 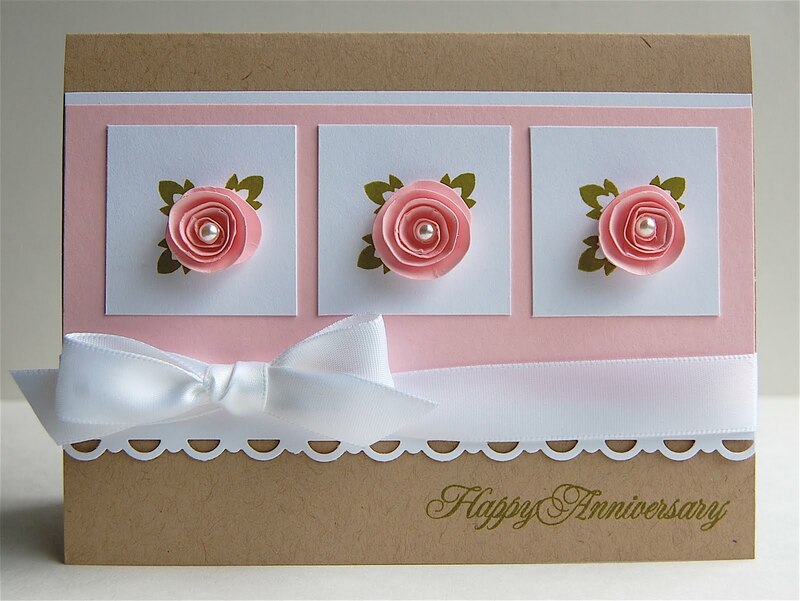 The pink & white and the satin ribbon are so romantic. I stamped several leaf images in Old Olive ink behind each rolled flower and finished them off with a small pearl. Color Challenge: I love this color combo!! Amy designed this graphic, isn't it adorable!! This weeks color combo inspired me to finally pull out my scrapping supplies. 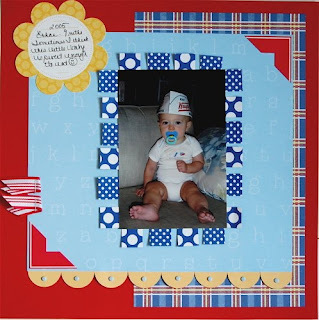 This is Ethan, little chubby-wubby, with a nuk in his mouth and a Krispy Kreme hat on his head. Oh, I just want to bite those legs...sorry, I got carried away, LOL! Thanks for stopping by. When you get a chance, head over to SSC and play with us!!! ETHAN..........I forgot that he had chubby legs. I want to bite them too!!!! Great page Maureen. Love all the colors and they are perfect with this picture. And OH MY GOODNESS that card is gorgeous! Love the little roses. Oh my gosh, LOVE that card! Those roses are SOOOO pretty! And what a cute layout!! I love those rolled flowers - especially with the pearl centers. The color combo challenge works so well with your cute sb page.